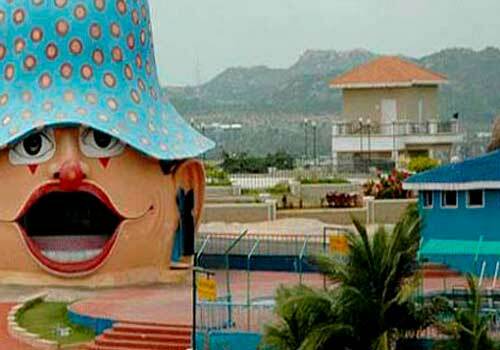 Mount Opera Theme Park Hyderabad: Located at a distance of approximately 38 kms from the main city, Mount Opera Theme park is one of the popular tourist places of Hyderabad offering loads of entertainment and fun to each and everyone. 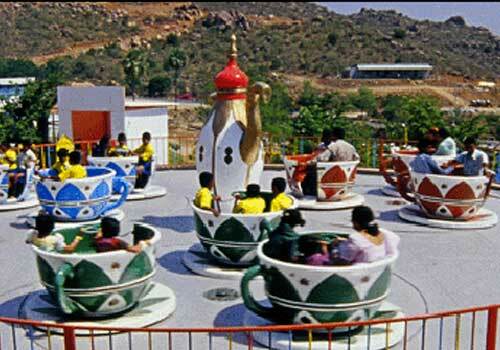 Situated on the Hyderabad-Vijayawada National Highway, the Mount Opera theme park is just 4 kms away from the popular Ramoji Film City. 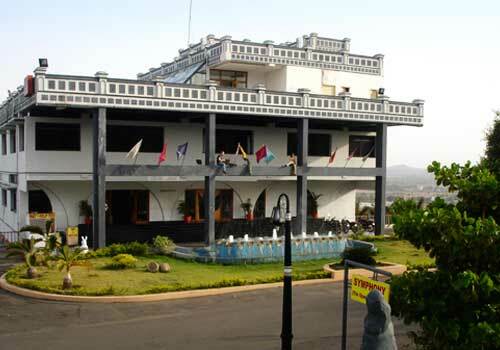 Spread across an area of 55 acres, the Mount Opera is one of the special tourism unit which has been chosen by the Andhra Pradesh Department of Tourism. 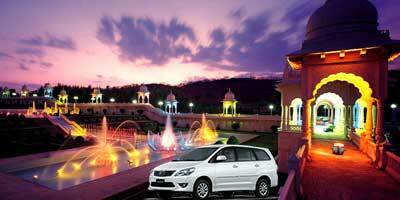 This further ensures the quality of services and facilities offered at this multi theme park or resort. 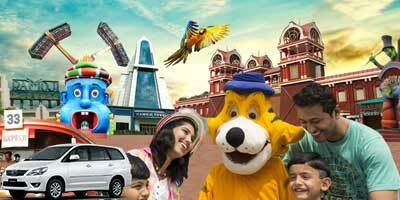 In addition to this, the theme park has the backup of Sreemitra Estate Pvt. Ltd which ensure international standards of the services. 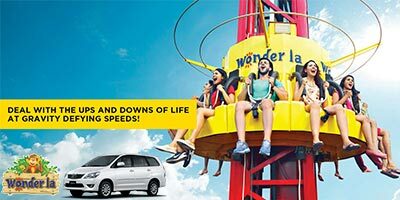 Ride Charges at Mount Opera goes as follows: Go-karting (Rs.90/-), Bumper Cars (Rs.30/-), Thrillarium (Rs.45/-), Boating (Rs.40/- for 2 seater), Bungee Jumping (Rs.30/-). Seasonal Packages like School Picnic and College Picnic (including food & rides) are also available on request for minimum of 50 people. 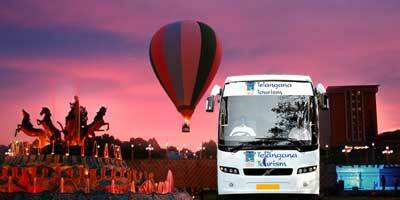 Weekend Packages with day outing is also available with Non-vegetarian and Vegetarian food. 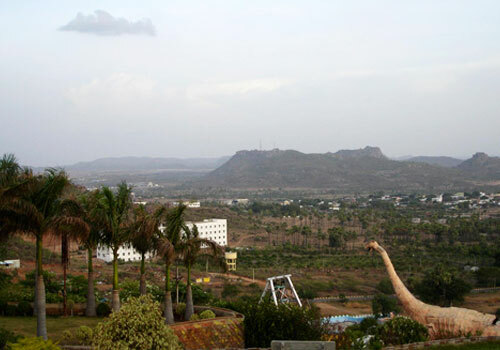 Situated on the hill top, Mount Opera Hyderabad presents its visitors with varying kinds of watersports as well as dry rides. Some of the dry rides here are Skating Rink, Toy Train, Merry-Go-Round, Merry Cups, Slam Bob, Columbus, Sliding Ring, Skating Rink, Striking Cars, Tele-Combat, Ferris wheel, Go-Karting, etc. 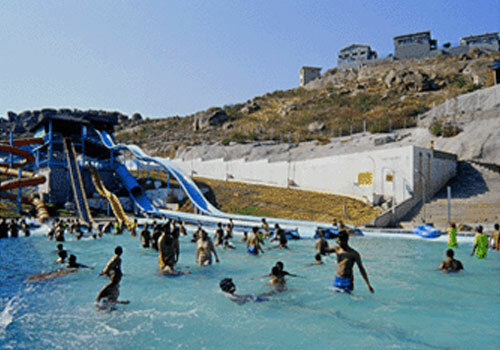 The Oasis Zone water world offers a range of water games and slides. 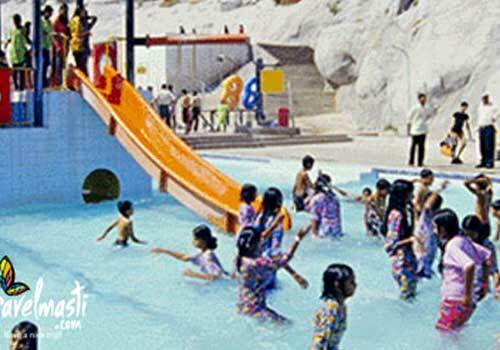 There are many adults slides, waves pool along with a separate kids and family pool, which make the experience all the more exciting. There are also facilities of boating and rain dance. Some of the choices of Indoor games here at Mount Opera are Billiards, Table Tennis, Carrom, Cards Room, Chess, etc. Along with all this, for those interested in making their nights also eventful, Mount Opera has discotheque for making your night lively and enchanting. For the party lovers, it offers an ideal time to try a few dancing movies at the some of the best beats. In the Mount Opera complex there is an open theatre as well which offers a 1500 seating capacity. Many performances including children programs and dramas are often organised here. 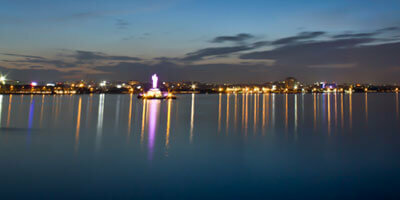 Its excellent lighting and acoustics facilities make it an ideal venue for the programs. Mount Opera Hyderabad offers a range of accommodation facilities, ranging from suites to cottages, each well-furnished with all the modern amenities. For those guests who want to continue their fitness routines even while on break, there is bodyline Gymnasium with facilities of Sauna, Massages along with guidance from the experts. Mount Opera also presents a wide array of culinary choices. Restaurants Mount View, offers authentic Indian restaurant while Omar Khayyam is a multi cuisine restaurant and Dolphin is a family restaurant. One can also relax and lounge around amid the fresh aroma of coffee at Lotus Coffee Shop. You can also choose from various Mount Opera packages – Weekend packages and seasonal packages and travel at your pace without having to worry about anything. 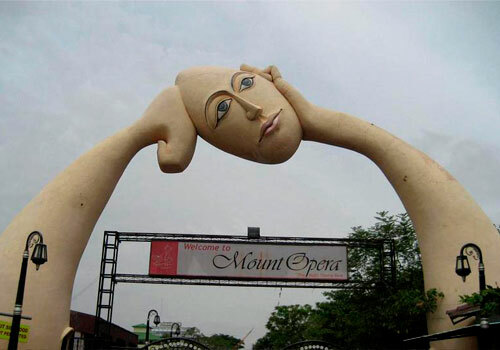 The entry fee for Mount Opera amusement park is Rs. 150 per person for senior citizens, while Rs. 435 per person for adults and Rs. 330 per person for children. There are separate charges for some of the rides as well. 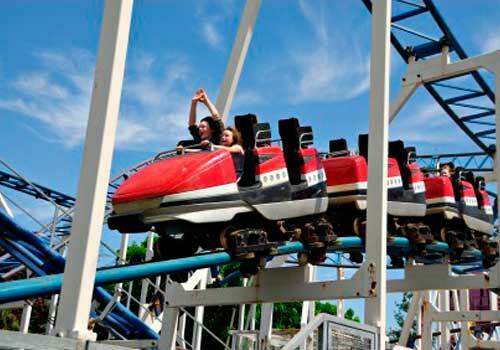 Entry timings at the Mount Opera amusement park are from are 11 am – 6 pm or 10 am to 7 pm. Mount Opera Hyderabad looks more exciting from outside then it is actually. I went with my friends so it was fun experience for us but rides were not good. In fact if you have not seen any amusement park then you can go and try some rides for the experience, otherwise you might get bored. Some of the good options have separate charges, but they save the day. There are restaurants too and coffee shop, but not up to the mark, can just do snacking. I have gone to Mount Opera many a times and I still like this place. It like i have gone with almost everyone close to me! It's a good place for an entire day, nice hangout. There are lots of water games and dry rides too. Mount opera has many packages too, so better to choose a package; all your food and stuff will be taken care of then. Mount Opera is not a place where you can spend entire day. For a half day it is fine, the timings of its entry start from 11 am or 10 am. Better to reach there by then, in summer , it gets too hot so we went early, played some water games and by afternoon we returned back. We ate lunch there itself, food was not bad. Mount opera charges such a high entry fee. It is almost 400 per person. In that they give just few rides, all good rides are charged separately. Facilities here are very less, and even the staff is not good, so don’t even think about staying at all. If you go, play some water games and come back. Our Mount Opera visit was disappointing. It is a huge park, and they have listed too many options. But to actually go for rides there are just few available. If they could get better professional services and keep it clean, it can be one of the best amusement parks. For now, it is not worth the travel and time. We went there with my family and kids. 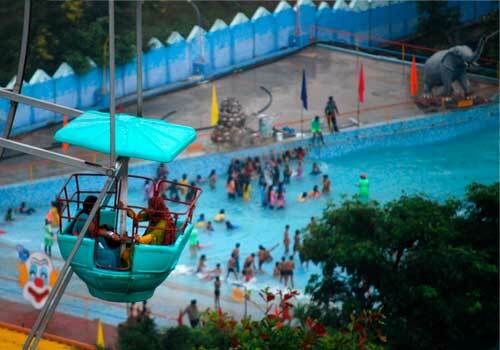 It is multi theme park, it has both dry rides and wet rides. There are indoor games. There is huge swimming pool. I liked go karting most, the entry fee is little expensive but Mount Opera package is good, there are some weekend packages and some for students too.